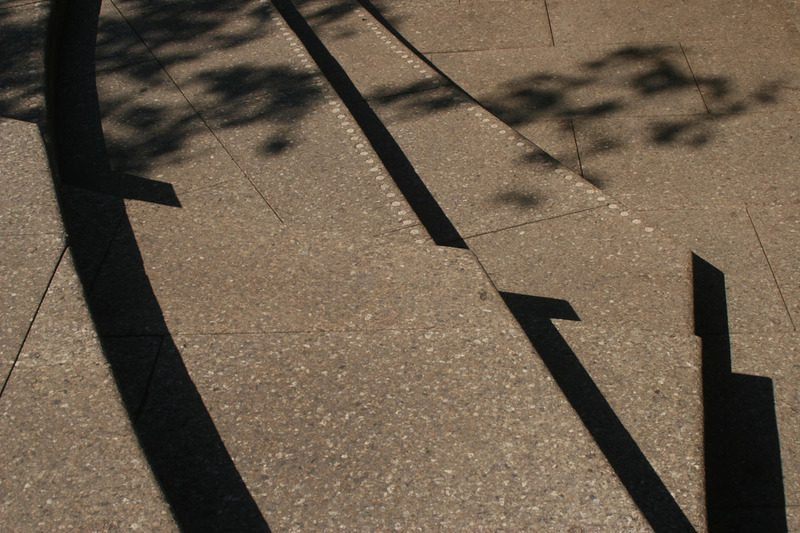 I recently stumbled upon a series of photographs I took last summer, on a gloriously sunny day, visiting the Serpentine Pavilion 2012 in London, which was constructed by the architects Herzog de Meuron and the artist Ai Weiwei. It was nice to be reminded of summer in the current winter gloom, but I was also reminded again of the good time I had there, the wonderful architecture and the experience of being in a (temporary) building that was there for everyone to use. So here’s to summer, sunshine and a piece of architecture that really worked for the users! 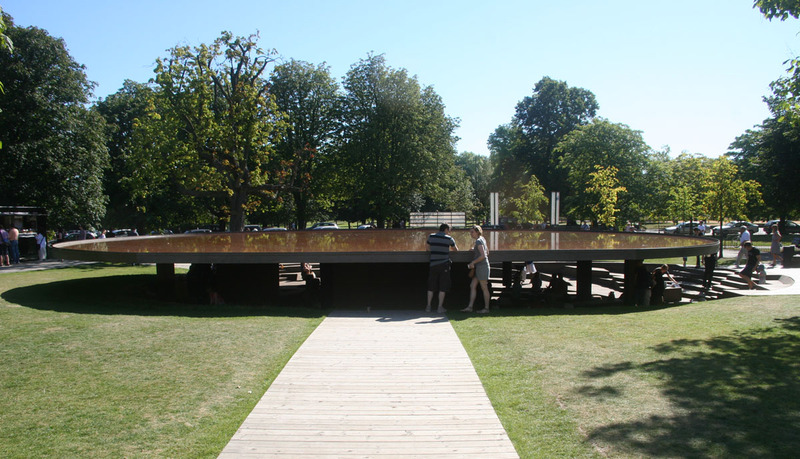 The Serpentine Pavilion is a temporary structure built just outside the Serpentine Gallery in Hyde Park in London. Since 2000, a different architect is invited to erect a pavilion on the same site, which is open over the summer months and provides additional space to the gallery for events. Dezeen shows an overview of all pavilions so far and explains that “the unpaid commission to design the pavilion goes each year to a major architect who hasn’t yet built in the UK and [the commission] is regarded as one of the most highly sought-after small projects in world architecture.” The 2013 commission has just been announced to come from Japanese architect Fujimoto. To my great shame I have to admit that I haven’t seen any of the earlier pavilions. I should also add that the trip to see the Pavilion was not born from my love of architecture or any form of connoisseurship, but was planned as a day out with the family – hubby and 1.5 year old toddler in tow. Well, love of architecture might have come in at some point, otherwise we might have ended up at the next playground or park for a simple picnic… We spent quite some time at the Pavilion and little one had the time of her life. I absolutely enjoyed myself and so did everyone else. 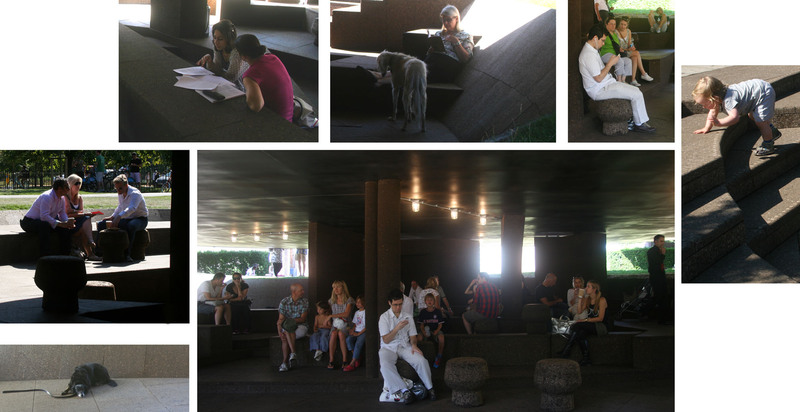 So what made the design of the 2012 Pavilion by Herzog de Meuron and Ai Weiwei so special? For me it was a piece of architecture that welcomed appropriation. It was open to all sorts of different user groups and purposes. It was amazing to observe what people did with the space: read, write, relax, sleep, eat, drink, have coffee, make homework, hold business meetings, crawl and explore, run around, laugh, sing, chat, listen to music, fiddle with mobile phones, watch people, take pictures. What I believe made this space so successful and pleasant was the clever combination of seclusion, visibility, flexibility and the use of a great material. From the outside and with a bit of distance, it was almost impossible to see what was going on inside, therefore the interior felt really sheltered and secure. From the inside though it was easily possible to watch people go by. The layout was broken down into different areas, thus creating separate niches for appropriation, but you could always see other people and be seen by others. This means the balance between being on your own and being part of the community worked perfectly. A lot of the furniture elements were portable, so people could adapt the spaces to their needs and this flexibility helped usage, too, since small groups could arrange to sit as they preferred to sit. 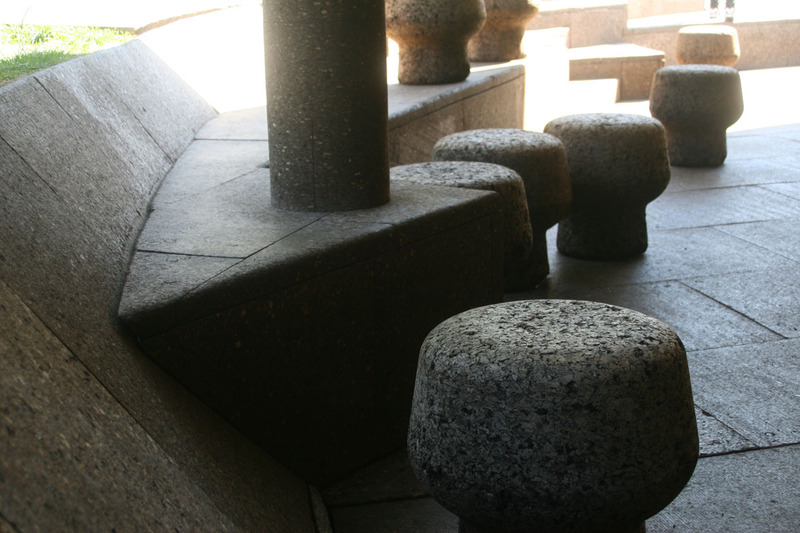 Last but not least, the material, cork was truly wonderful – cooling in the sun, yet warm in the shade, not too hard to sit on for longer stretches of time and most importantly (for me) safe for toddlers to run around and explore the world without hurting themselves. I wish all architecture would be like this – good looking and stylish, but at the same time practical, flexible and open for users to do with it whatever they feel like doing.